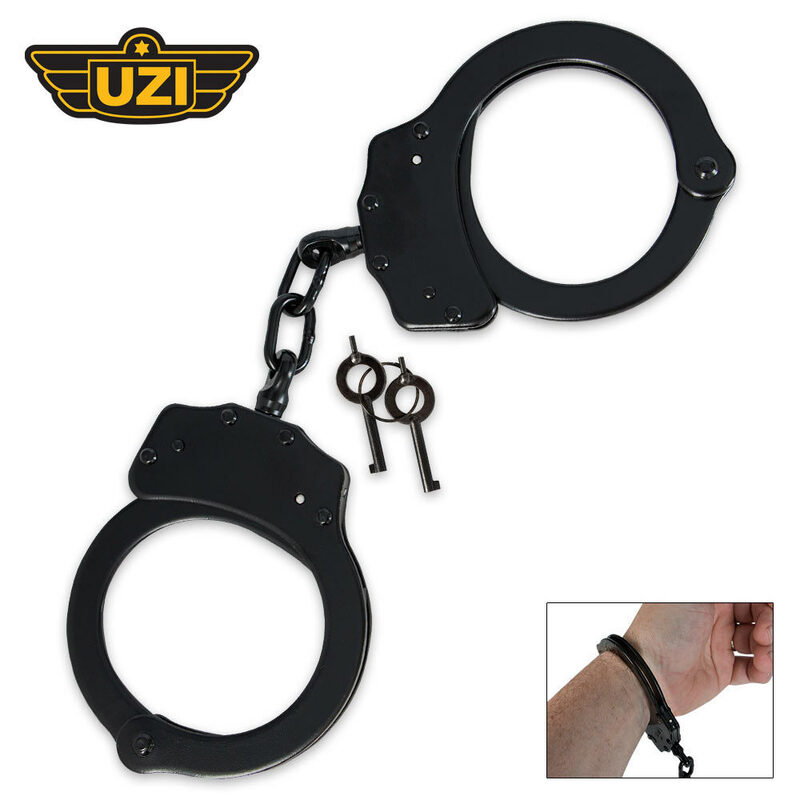 UZI Handcuffs Chained Black-Plated | BUDK.com - Knives & Swords At The Lowest Prices! These chained handcuffs from UZI are made of a high-tensil steel with a double locking mechanism that will keep your perp securely subdued. 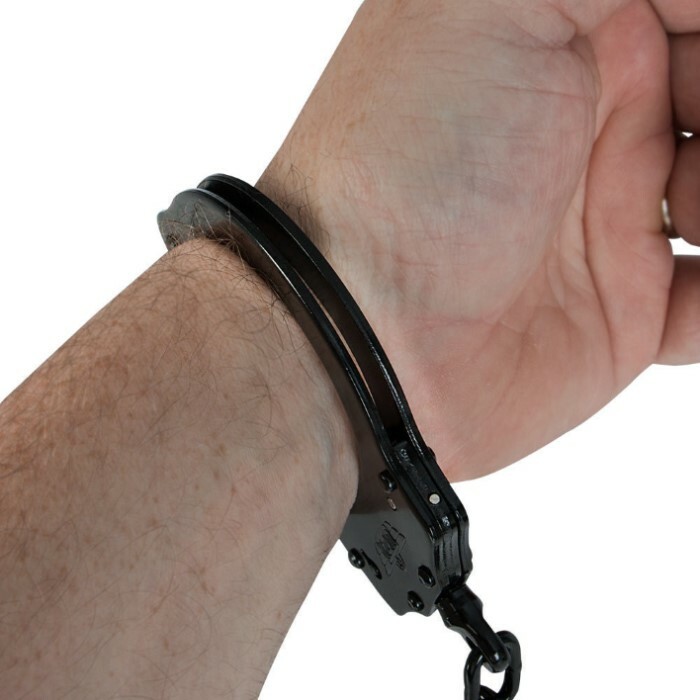 They have a black-plated finish and 20 locking positions to fit any size wrist. Two keys are included.